LOL I have run up against a similar deck before. I have been prompted to add cards like Spirit of the Labyrinth and Rest in Peace to shut down Gitrog. With the top two decks of the format currently depending a lot on Faithless Looting and other draw spells, I'm playing around with a trio of Spirit of the Labyrinth in the mainboard of my bant spirits deck (Shameless plug: Yet Another Bant Spirits Deck). I'll try it out for the first time tomorrow, we'll see how it goes. I also prefer Deputy of Detention to Detention Sphere since it can be Aether Vial'ed and CoCo'ed onto the battlefield. It is more vulnerable to removal, of course, but I'm interested in what you think is better. I also run a single Kira, the Great Glass-Spinner to protect those more vulnerable creatures beyond the four drogskols. scotchtapedsleeves: Nah, honestly Impulse is one of the strongest cards here. 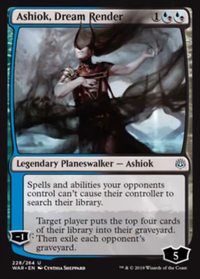 Not only can it be stuck on an Isochron Scepter , it also costs much less mana than Fact or Fiction , and can be cast with the mana otherwise held up for a counterspell. Thanks for the thoughts tho! I agree that FoF can be better in a GY-focused deck. xander11: Why do you feel it’s qeak out of curiosity? 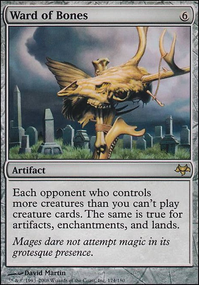 It’s been a life saver as instant-speed removal for dangerous artifacts (such as opposing Paradox Engine s) and dangerous creatures (such as Spirit of the Labyrinth ). 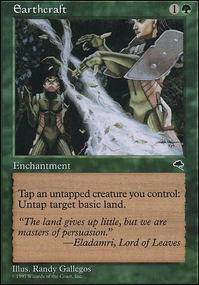 It also can be reused on Isochron Scepter .